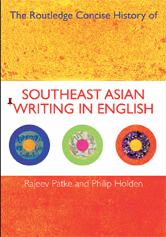 Direct and clearly written, this concise history guides readers through key topics while presenting a unique, original synthesis of history and practice in Southeast Asian writing in English. It is the ideal starting point for students and all those seeking a better understanding of Southeast Asian literatures and cultures. In this critical guide, Rajeev S. Patke and Philip Holden interweave text and context through the history of creative writing in the region, examine language use and variation, making use of illuminating examples from speech, poetry and fictional prose, trace the impact of historical, political and cultural events, engage with current debates on national consciousness, globalization, modernity and postmodernism, and provide useful features including a glossary, a further reading section and chapter summaries.